EARLY DOORS, Britain’s best loved pub sitcom is to tour the country later this year for the very first time. The live incarnation of the BBC TV favourite kicks off in Newcastle on 25 September, followed by an 11 date UK tour. Tickets go on sale at 10am on Friday 16 March. The live show was originally planned as a one week run at Salford Lowry’s Quay’s Theatre. But due to huge public demand for tickets those shows sold out instantly and a further two weeks of shows at the Lowry’s larger Lyric Theatre were added, which also sold out in record time. 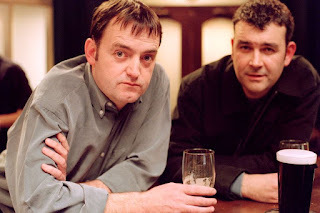 Commissioned by leading West End producer Philip McIntyre to adapt their award winning television series for the stage, Craig Cash and Phil Mealey have written a brand new story featuring the same hilarious characters from the TV show. The Grapes Pub will reopen its doors for the UK tour, in a not-to-be-missed night of fun and laughter. Ken’s got love on his mind, but will barmaid, Tanya, ring the landlord’s bell? Old Tommy would play Cupid - if only he didn’t have IBS (Irritable Bugger’s Syndrome). Crime is on the rise but fear not, as local cops Phil and Nige are getting stuck in... to a couple of pints in the back room. After all, “Crime can’t crack itself.” All of this and much, much more when Early Doors returns. Starring Craig Cash, Phil Mealey, John Henshaw, Susan Cookson, Joan Kempson, James Quinn, Lisa Millett, Judith Barker, with further casting to be announced. To the regiment! Don’t just wish you were there - make sure of it!